Girona was invited to take part in the academic symposium "The Jews of Spain: Past and Present", organized by the New York-based American Sephardi Federation (ASF) as part of a programme of various events which started last autumn and will continue until May. The symposium began on Saturday 5th December with a concert by Paco Díez and the talks proceeded during the whole day of Sunday 6th and Monday 7th December. The Director of the Girona Municipal Board and General Secretary of the Spanish Network of Historic Jewish Quarters, Ms. Assumpció Hosta, gave a lecture entitled "The Sephardic Heritage as a Living Part of Spanish Culture" on Monday 7th December. This was immediately followed by the holding of a round table discussion on the theme "The Jews in Contemporary Spain", chaired by Stanley Urman, the Director of the ASF, with the participation of Lluïsa Faxedas (the Deputy Mayor of Girona with responsibility for Culture and Education) and Assumpció Hosta; Enrique Múgica Herzog (the Spanish National Ombudsman); Jacobo Israel Garzón (the President of the Spanish Federation of Jewish Communities); and Diego de Ojeda (the Director of the Casa Sefarad-Israel). The delegates from Girona were also accompanied by municipal representatives from Barcelona, Plasencia, Segovia and Ribadavia. 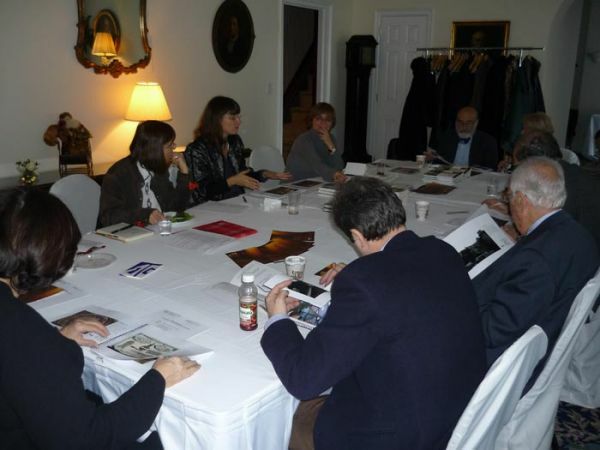 In addition to this two professional workshops were held for tour operators and press representatives specializing in visits to Jewish Spain, in Chicago on 9th December, attended by two hundred people, and in New York on 10th December. Both events were supported by the Spanish national tourism entity Turespaña, through the Spanish Tourism Offices and Spanish Consulates-General in Chicago and New York respectively. From the very beginning of the project to rehabilitate Girona's historic Jewish quarter, it has been considered very important to promote the city in the U.S. tourist market. During this trip Girona resumed its relationship with the association of Friends of Girona Museum and Institute, created in 1992, and which contributed to the rehabilitation of the Bonastruc ça Porta Centre. The meeting, directed by Ms. Faxedas, the Deputy Mayor of Girona with responsibility for Culture and Education, was held in a climate of great cordiality and attended both by members of the Board of Governors and the association's U.S. Consultative Council, with the aim of establishing a new basis of cooperation so as to boost the promotion of Girona in the U.S. and promote the international image of the Bonastruc ça Porta Centre. The FGMI is also a good vehicle for attracting sponsorship and for consolidating the project of the city's Jewish Quarter both in Catalonia and throughout the world.